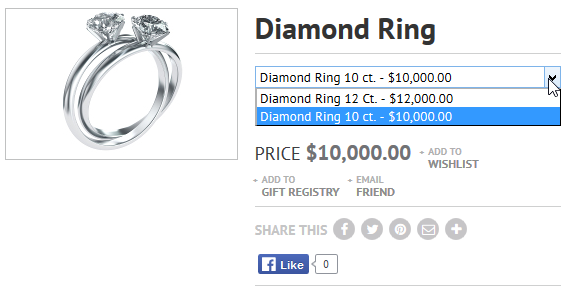 In order to create an inventory stack, navigate to the "Products" area of the Shopping Cart and then click "Add Product". 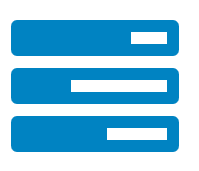 You will then see the following popup to create the stack. 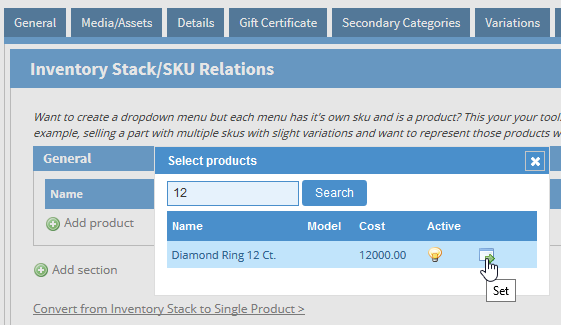 Within the Advanced tab, you will be able to select which of your existing products are to be grouped together and have SKU relations. 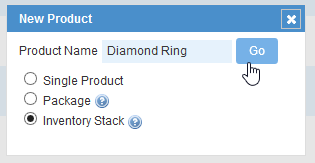 After selecting the products and saving the inventory stack, you will see that the stack appears on the public view of the website with a dropdown item for each of the products that you have just selected from the admin area.